 PathWise Solutions demos can be arranged by visiting our website. You may also wish to view our portfolio. Here are a few of TM NewMedia/PathWise Solutions' valued clients.